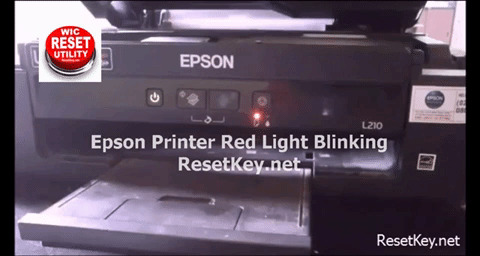 Hi, In this post we are going to show you how to remove red light blinking in Epson L210 printer by Reset Epson L210 waste ink counter. 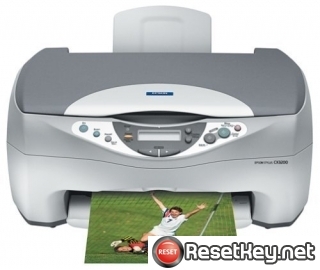 it will blink like that only further to overcome this problem we are going to show you a small program a tool provided by ResetKey.net named Epson L210 Resetter. 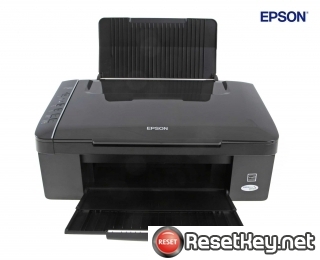 Before we learn how to fix red light flashing in Epson L210 printer, We will find the reason why your Epson L210 got this error and how to reset Epson L210. 2. The ink cartridge is not identified. 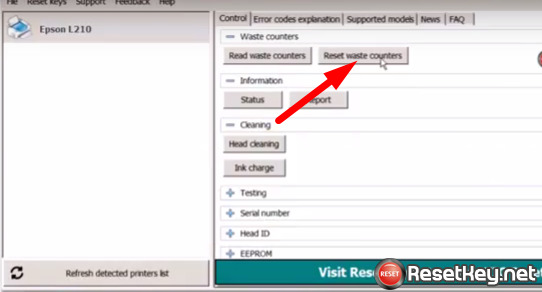 In this post, we will fix reason four: The waste ink counter overflow. 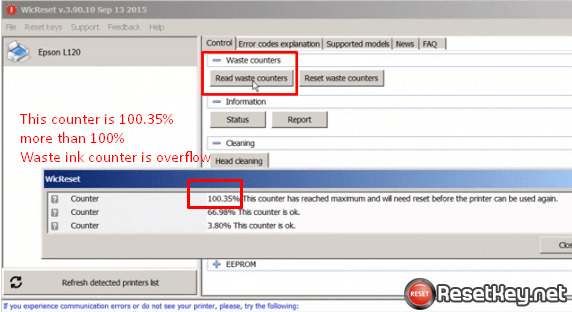 What is waste ink counter overflow? Epson L210 printer has a Waste Ink Pad inside. These pads are containing sponge for absorbing, collecting waste inks when Epson L210 printer is working. Waste Ink Pads are crucial. When these Waste Ink Pads are overflow, printer Epson L210 will stop printing automatically. 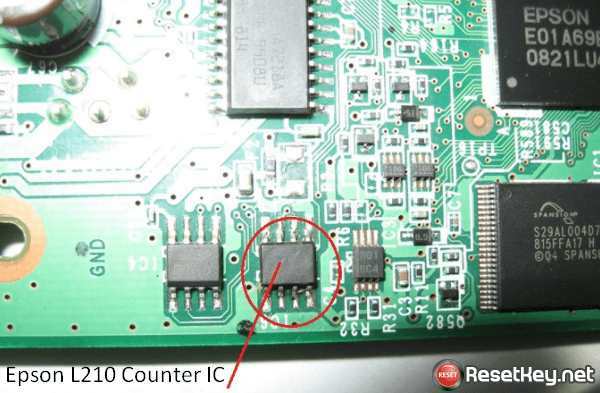 Epson L210 has a Counter IC, and this IC counts how much ink flow to waste ink pad and stores this number into printer’s memory. We called this number is Waste Ink Counter. Step 1: Connect Epson L210 that you need to reset by USB to your PC. Step 2: Disconnect all other printers. 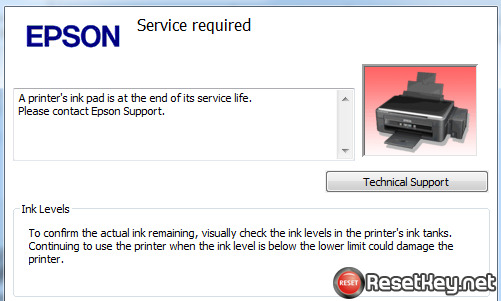 Step 3: Cancel all the printer jobs and turn off then on the Epson L210 printer. 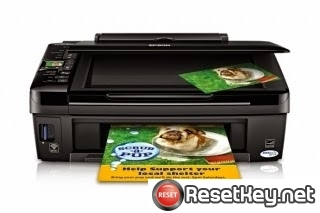 Step 5: Buy Epson L210 WIC Reset Key or get free here. Step 6: Run WIC Reset Utility – Select the printer that you want to reset. Step 7: Click “Reset Waste Counters”. Step 8: Enter reset key then press “OK”. Then wait for a second, a critical alert appears, tell you to turn printer OFF. Now switching OFF the printer then turn printer ON again. When WIC Reset Utility tool shows up a message: “Congratulations. Your printers waste counter(s) have now been reset”, that means your printer reset successfully. 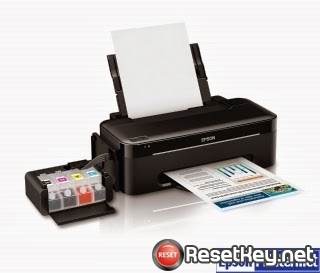 Now your Epson L210 printer is fully retested with using condition. Continue to do your job!